While it's handy to keep a couple vases at home or maybe one at the office in case that special someone sends you flowers, vases can take up quite a bit of unnecessary space. Ohio-based company Vazu USA has come up with a clever and environmentally friendly solution to this problem. Unlike like traditional glass vases, the Vazu vase can be folded for easy storage and transport. 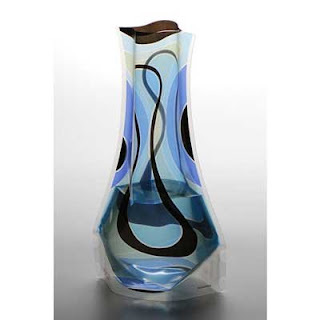 The vase itself is made from polymer layers heat-welded to create different shapes and has the bright glossy look similar to glass, but is not as breakable as glass. At less than HK$80 a pop, these vases are great for hostess gifts, hospital visits and those who, like me, have way too much clutter in a small apartment.